How to add downloadable handouts to my course? You can supplement learning by adding downloadable handouts and worksheets in your course. You learners can download these handouts and even study them offline. 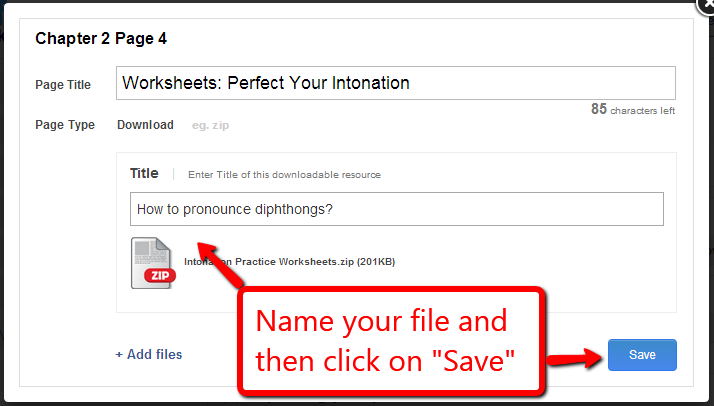 The image below shows you an example of how your learners will be able to download the handouts in your course. Excel - .xls, .xlsx, etc. Step 1. On the "Manage Training" page click on "Download". Step 2. Give a name to this page and click on "Add files"
Step 3. Give the handout a suitable name, click on "Save" and you're done. How do I create a compliance training certificate?